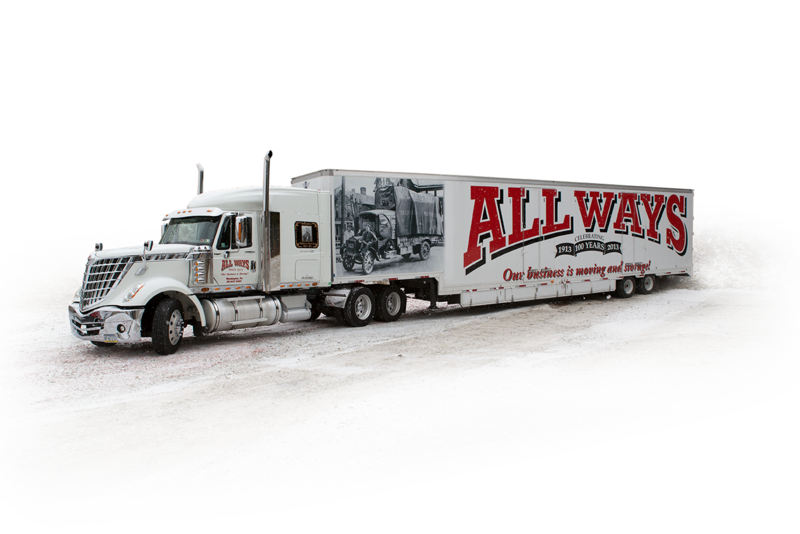 All Ways Moving & Storage® has been one of the oldest & most trusted moving companies in Ohio, Pennsylvania, and West Virginia since 1913. We are a diversified moving and storage company providing full-service moving options for individuals, businesses, employers, Government Agencies, and the Department of Defense. Our professional moving services are available locally, nationwide, & internationally. With over a century of experience All Ways Moving & Storage® has streamlined the moving process to ensure each move is carried out seamlessly. Most importantly, we offer excellence in moving making sure that every detail is in place for your move. For instance, whether you need two men and a truck for your local move or a tractor trailer for your long distance move, we have the right solutions for your needs. It would be our pleasure to make your next move a smooth & stress-free transition by providing you with the best possible moving service. Contact us today at 724-225-7360 or online for a free, accurate, real-time moving company quote for your upcoming move. All Ways Moving & Storage® completes free, accurate, real-time moving estimates. Contact us to schedule an estimate for your local or long distance move by calling 724-225-7360 or submit a request online. Like us on Facebook and follow us on Instagram to stay connected on moving company updates, moving tips, ratings, reviews, and more exciting news! All Ways Moving & Storage® accepts applications on a continual basis. If you are experienced in the moving and storage industry, we welcome the opportunity for you to join our professional team of movers! All Ways arrived on time and finished in under the projected time frame. Everyone helping with the move was very professional and they went the extra mile to make sure everything went smooth. My move across town was simple thanks to the All Ways Moving. Mike (the estimator) arrived on time and was able to give me a quote for the move immediately. On the day of the move, the three movers arrived on time and quickly packed my remaining items while getting the furniture and boxes put on the truck. Unloading and moving the furniture into my new location was quick and efficient; the guys even took back (with them) the boxes I managed to empty while they unloaded and moved the furniture. I also appreciate their willingness to work with me on changing my moving date due to a family emergency. If you are looking for a dependable, efficient, friendly, accommodating, and professional moving company, hire All Ways. 3 man crew arrived on time (10am) and completed the job by 5pm with few issues that were ultimately resolved. The company was prompt; and the help was very courteous and worked very hard to complete the task. They had moved my sister in law the prior Saturday. She is in real estate and plans to offer their name to any future clients of hers that are seeking a good moving company. On a 90 degree day, three workers arrived and packed up our home efficiently despite the blazing sun and many steps. The following day, though one helper had called off, they were able to deliver and put together furniture efficiently. It felt like we were working together as they always gave us choices and made it known that we were in charge. The team leader was very experienced and a good teacher to the helpers. We were very satisfied. Absolutely perfectly, totally professional, showed up when expected and went above and beyond. The estimator was prompt and professional, not to mention very friendly. The crew was 6 guys and 2 trucks. Move completed in 9 hours with zero damage. Setup in the new house was great even though we changed our minds on furniture location several times. All 6 guys were very hardworking, courteous, and professional. They treated everything like it was their own stuff. All were very patient. Highly recommend this company for their professionalism, timeliness, efficiency, and attitude. Very well, the team was great. A job excellently done! They were on time and performed their job in a professional, capable way. On move in day I had to change the time of "move in." It really helped me that they were able to adjust the schedule to what I needed. Very happy with their service. Moving went very well and they were very helpful and professional. The crew was very professional, on-time and very efficient. I interviewed many movers in the area and All Ways Moving and Storage was by far the easiest to work with and very understanding of our moving needs. Will use them again to move into my next home. "They arrived on time. They took care of our belongings & worked very quickly. Very considerate & wanted to be sure boxes went where needed. Honest, great group. Great experience from Al's quote to the actual moving day!" "Two teams showed up right on time, got to work quickly, & did a great job of getting the move done faster than expected. Everyone was polite & very careful with our things. We thought they did a great job." "Wonderful. On time, careful with all my belongings, & made sure I was happy with all." "WOW! These guys were great from the time that they arrived (on time!) to the moment they left. Respectful, helpful, & even fun to work with. I can't wait to have to move again so I can work with this great company!" "It went great, from the timeliness of the initial estimate & friendliness of the office staff, to the follow-up, packing, loading, & unloading." 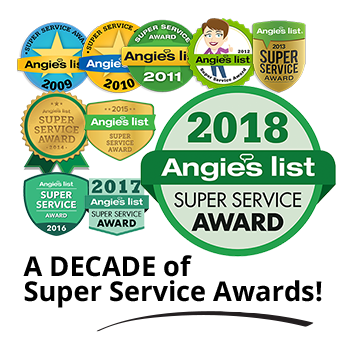 "I selected All Ways Moving based on the reviews on Angie's List & was not disappointed. From the salesman to the office staff to the movers, everyone was courteous & professional. It went without a hitch. It was definitely worth the price & I would recommend them to anyone." "Estimator Michael was prompt & professional. He made a rapid estimate, presented a price, which we considered fair, & we signed a deal. The movers arrived close to the end of the time slot agreed upon, but within reason. They were very careful with the delicate antiques & packed each well. The movers appeared at the delivery location promptly, & put all pieces in place & assembled those that needed it. They were professional & pleasant to work with. No damage was apparent to any piece. Because we were a small move, service was very quick to arrange, & all went very well." "Great job, very smoothly. They showed up on time (even a little early) & were very quick & professional." "The move was flawless. The movers were quick & careful. They were friendly & helpful. Would highly recommend them & your company." Great guys! Friendly, professional and caring of our special needs. We went with All Ways because in every interaction they impressed us as being a high-integrity company with experienced men at the helm. Also, they get many A reviews because they have done right by other clients. We were not disappointed. The moving men were as proficient as we had hoped, treating each piece and each box with respect and care. We were paying hourly, as local moves are billed, yet they moved quickly. We were impressed with their efficiency throughout. Somehow they also managed to stuff our furniture in to a limited-space storage unit. Now, about price: All Ways sends a representative to the house in advance to see what you have to be moved and estimate a cost. Their estimate was about in the middle range in comparison to other company quotes, not the lowest or highest. However, these experienced, efficient movers got everything done so fast that the price we ended up paying was considerably lower than the price we expected to pay. With that and the care they showed handling our belongings, we knew we made the right decision going with All Ways. We expected to pay more to get the best; instead, because we got the best we ended up paying less and spending less hours on the move. I am quite satisfied in all areas of my moving process. Everyone at All Ways was very professional, prompt and hard working. From getting the quote and details worked out before the move to the actual move itself, we had nothing but great service. For the move, we packed our own boxes but they loaded and unloaded EVERYTHING from the house to the truck in NC and into the new house in PA. They were very careful with all items, wrapping furniture, taking things apart and putting them back perfectly, caring for both houses and not banging any walls or anything. They set up everything exactly where we wanted in the new place. We just had to unpack the boxes (you can have them to all the packing and unpacking but we decided to do that ourselves to save a little). Justin and the crew we had worked so hard and were very helpful through the whole move. We would highly recommend them to anyone looking to move locally or state to state. The 6 men that came to our house were the most polite, hard working men I have yet to encounter. Everyone of those men did not stop all day, until we bought them lunch and told them to take a break while they ate. We will definitely recommend them to other people who are in need of movers. Very pleasant experience. Arrived early and completed move earlier than expected. Very courteous and professional. We got our estimate from Al, who was professional and friendly. Our mover was Andy and several other guys. They were great. They were on time (maybe even a few minutes early), and got right to business. It was obvious they knew what they were doing. They were professional, courteous and extremely efficient. We didn't have any damage, or any nicks any walls. They were also very good about making sure things were where we wanted them to go in our new home. They finished early, and were very appreciative of the pizza and snacks we provided during the move. I highly recommend All Ways. In my experience, you get what you pay for when it comes to movers. All Ways did an outstanding job. The company was able to meet our tight scheduling needs with professionalism and genuine helpfulness. Everyone that we dealt with, from the first phone call through estimate and then the move was friendly and approachable. The guys were very respectful of our need to be neat and clean, especially in the new house. Also we have a number of expensive and heavy pieces of furniture and they were handled with great care. We had a lot of heavy stuff that needed to be moved from one basement to the other and this was handled with efficiency and good cheer. I would definitely use All Ways again and would not hesitate to recommend to others. Packed and move me from Wintersville, OH to Sebastian FL as well as took 2 aadditional loads for my family to Denver CO and Mocksville, NC. The move was an inclusive all pack move and this company made an otherwise difficult situation as painless as possible. The movers and packers were great and sensitive as well as efficient. I would highly recommend them to anyone. I hired All Ways Moving to move all my household contents from Whitehall, PA to Venetia, PA. Al was on time the day he came out to give the estimate and called after the move to check on how things went. They sent four men and a large truck at 8:30am (right in the middle of the timeframe they quoted me). All the guys were polite, professional, and careful with my belongings. They did everything I asked of them. I have some very heavy pieces and they did not complain. I also hired them to pack several pieces of artwork that are large and valuable. They even helped move some things into a storage POD, which they really didn’t have to do but seeing that I am a single mom, they seemed glad to help. The original arrangement was to store my belongings overnight on the delivery truck since I was not closing on my new house until the next day. I was surprised that the charge for overnight storage was only $100! I expected it to be much higher. Well, the day before the move at 4:50pm, my mortgage company called me and said that there had been an error processing my paperwork and that the closing on my new house would have to be delayed two weeks! I panicked. Too late to call storage facilities, where would myself, my daughter and our five pets stay? I started calling places at 9am the day of the move and was striking out, as no one has large units available this time of year. One of the moving guys overheard my phone calls and suggested I call All Ways offices and tell them my situation. I called Tim at the office and after a few minutes he called me back and offered to keep everything on the truck in their warehouse for up to two weeks for $50 per night! What a relief! Not only would my stuff be safe but this saved me a ton of money by not having to pay to have it all unloaded into a storage unit, reloaded in two weeks, and unloaded again at my new home plus the cost of a storage unit. I was then able to concentrate on finding temporary housing for my family. All Ways made what could have been a disaster an inconvenience instead. I would highly recommend this moving company. Lisa was very nice and knowledgable and really accurate on her estimate. They kept me informed at every stage of the move. They packed out my house in a day and were very careful. The driver and his help were nice and respectful and made sure to handle my stuff with care. I definitely recommend you give these folks a chance to help you with your next move!